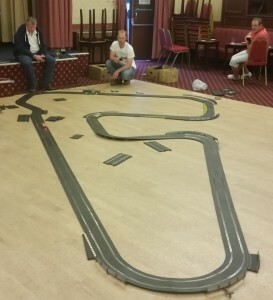 As part of the 60th Anniversary celebrations of the 1955 British Grand Prix, the first to be hosted at Aintree, local enthusiasts, headed by Peter Molyneux, have created a scale replica of the full 3 mile Aintree Circuit, the UK’s only purpose built Grand Prix track. The track will be hosted in the Masonic Hall on the corner of Park Road & Aughton Street in the Town Centre (above O’Briens Tea Rooms). Entrance is free and prospective Formula 1 drivers will be able to have a go at driving the circuit in exchange for a small donation to Charity. The track will be open from approx 11.00 to 17.00. Refreshments will also be available to purchase. Aintree Circuit Club are delighted to announce that the Awards for the inaugural Ormskirk Concours will be supported by a local building services company, Halsall based Carequick Airconditioning. Established for over 20 years and supplying and installing airconditioning systems across the North West, their Managing Director, Colin Maxwell said “I have entered my cars in 3 motorfests and think it is a fantastic event. When I heard about the new Concours Competition, I was delighted to be able to offer support for this new element of Motorfest and wish it every success. Online entries are now open with 13 classes catering for all ages and types of cars and motorcycles.